August 2nd is National Ice Cream Sandwich Day, and while it is great to have a day dedicated to this frozen treat, any warm summer day is a good time to celebrate by eating an ice cream sandwich. There are tons of ice cream sandwiches to choose from when you head down the freezer aisle of the grocery store, but it is a lot more fun to make your own. 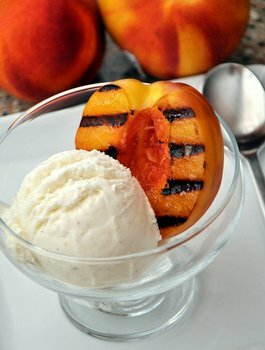 When making your own, you can really customize the flavors of your cookies and your ice cream filling, and you can choose top-quality ingredients, where the storebought varieties often save money by using cookies you wouldn’t eat on their own and “frozen dairy desserts” in place of ice cream. Every time you bake a batch of cookies, stash a couple in the freezer in an airtight bag and you will always have the makings of an ice cream sandwich on hand. Make Double Butter Pecan Ice Cream Sandwiches by pairing storebought butter pecan ice cream with homemade Butter Pecan Slice and Bake Cookies. It’s a double whammy of one of ice cream’s most indulgent flavors. Bake thin cookies so that your sandwiches will be more streamlined. Make Two Tone Ice Cream Cookie Sandwiches by filling pairs of homemade chocolate chip cookies with half a scoop of vanilla ice cream and half a scoop of chocolate. Eat right up the middle to get a combination of both flavors, or eat one side before the other to get two different desserts in one! These Oatmeal Cookie Ice Cream Sandwiches are made with lower fat (but still just as delicious) cookies and showcase how you can make an indulgent treat a little lighter by baking the cookies yourself. I like raisins for a classic oatmeal cookie feel, but chocolate chips can be a great alternative. Try S’mores Ice Cream Sandwiches by sandwiching homemade Marshmallow Ice Cream and chocolate sauce between two graham crackers. Grahams soften nicely when they’re paired with ice cream, so you get the flavor in a sandwich that is easy to eat. I recommend chocolate sauce because it is easier to pair with ice cream than melted chocolate is. Mint Chocolate Chip Brownie Ice Cream Sandwiches are for chocolate lovers. Brownies aren’t quite cookies, but they do make a fantastic base for an ice cream sandwich. Homemade brownies make the best sandwiches when they’re sliced in half, so that the layers aren’t too thick. Substitute mint chocolate chip for your favorite ice cream flavor to mix things up! Remember that you can always store ice cream sandwiches in the freezer for later, so don’t hesistate to make a big batch and individually wrap all of your sandwiches in a little bit of plastic wrap so that they’re ready to go when you’re in the mood for an outrageous ice cream sandwich. Previous PostPrevious What is shaved ice?